Count your blessings that America finally got a Trappist brewery, because over in Europe, these things are in dire straits. Fans of the monk-made beers first panicked last year when rumors swirled that Orval would lose its Trappist distinction because of a short supply of brothers. That turned out to be a lie -- they're just keeping supplies low because of that whole "other calling" -- but you can go ahead and transfer your anxiety over to Achel, where a monk crisis is indeed brewing. 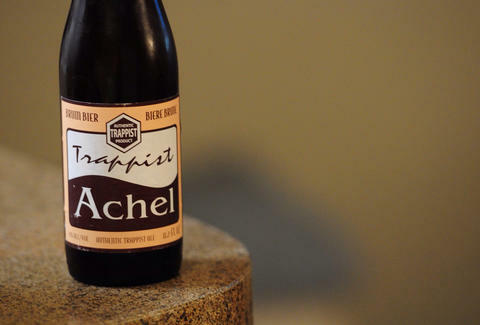 Achel is the smallest Trappist brewery as it is, but they're currently running on a staff of just six men, most of whom are over 70. That's kinda not great news, since, unless their planned monastery mixer attracts some new blood, the Achel Trappist brand could die out in a few years' time. Even scarier, the issues at Achel speak to an unfortunate larger trend of recruitment problems within the Trappist order. Since 1940, numbers have declined 20% across the board, placing the current worldwide total of Trappist monks (including the non-brewing ones) at 2,000. Luckily, places like Orval have played with the Trappist beer laws by hiring more outside help, which is cool as long as the brothers still supervise. We can only hope the retirement community at Achel follows their lead soon, but just to be safe, you should pick up some bottles of Brune 8° stat. Kristin Hunt is a food/drink staff writer for Thrillist. She volunteers all her baking and mixtape-making services for the next Achel recruitment event. Follow her at @kristin_hunt.